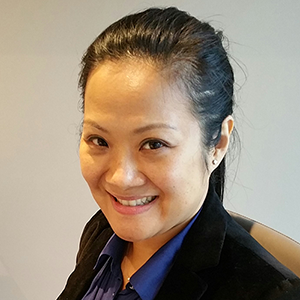 Dr. Carol Lin is passionate about helping clients find whole-body, long-term solutions to their ailments. As a board certified and licensed Naturopathic Physician, she has successfully treated clients struggling with conditions ranging from minor allergies to severe disorders. Dr. Lin graduated UBC with a degree in cellular biology and went on to study at Bastyr University, one of the world’s leading institutions in the field of natural medicine and research. Several core principles resonate with Dr. Lin’s hopes for the future of medical care. These principles are: treating each patient as an individual, recognizing the importance of food and nutrition on health, and focusing on finding long-lasting solutions to the underlying causes of dysfunction. 1.The key to optimal health is mind, body, and spirit functioning in harmony with one another. 2.A person is a whole, not just a symptom. 3.Comprehensive medical care is the way of the future. After years of practice, Dr. Lin continues to see confirmation that balance is the key to optimal well-being. Time and again she has seen how a combination of adequate rest, a consistent exercise regimen, and a balanced, high-nutrient based diet creates a synergistic effect, allowing patients to regain control over their health. To achieve such a balance, Dr. Lin believes that each patient must be treated as an individual, not as a condition or statistic, and that all the elements of their particular case must be considered when developing treatment. Our bodies are integrated wholes, not disconnected parts that function independently of one another. Something happening in one area of our being has far reaching effects on the others. Emotional stress, for example, doesn’t happen in a vacuum. If left unchecked, it can cause physical dysfunction to manifest in a whole host of areas, such as chronic colds, allergy symptoms, digestive issues, and more. Dr. Lin spends time listening to each client’s needs and concerns and identifies potential underlying causes of their illness by reviewing details of their diet, energy levels, digestion, exercise, lifestyle, emotional well-being, past and present medical history, and family history. physiological imbalances that contribute to the presenting symptoms, to develop a specific treatment plan that’s right for each specific client. Among other things, Dr. Lin can help with allergies, skin problems, digestive disorders, hormonal issues, and stress. Treatment may include any combination of clinical nutrition, botanical medicine, homeopathic medicine, physical therapies, nutritional medicines, exercise, diet and lifestyle changes, and more. Begin your healing today, book your Initial Session with Dr. Carol Lin.